I think the little girl to the very left might be my Grandmother (Mary L Hussman Cerniglia). The woman 2nd from the right could be Mary F Meyner Hussman Cerniglia. The older man in the middle is Fred DeLong, husband of Louise. The man next to him is Bernhard. 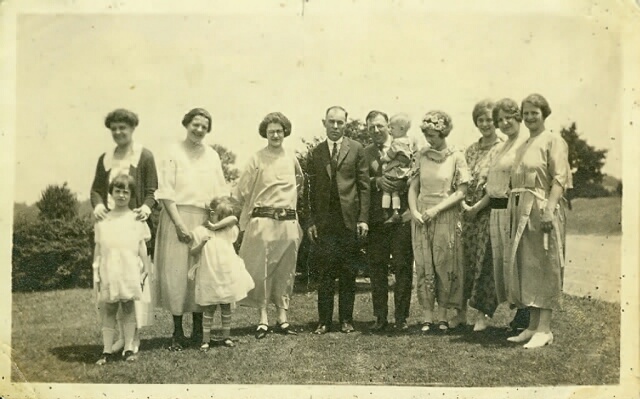 The seven women would be Oswald Meyner's daughters. But this is all speculation on my part.